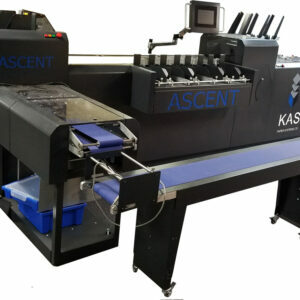 KAS CreaseMatic Auto50 - Roberts Business Machines, Inc. 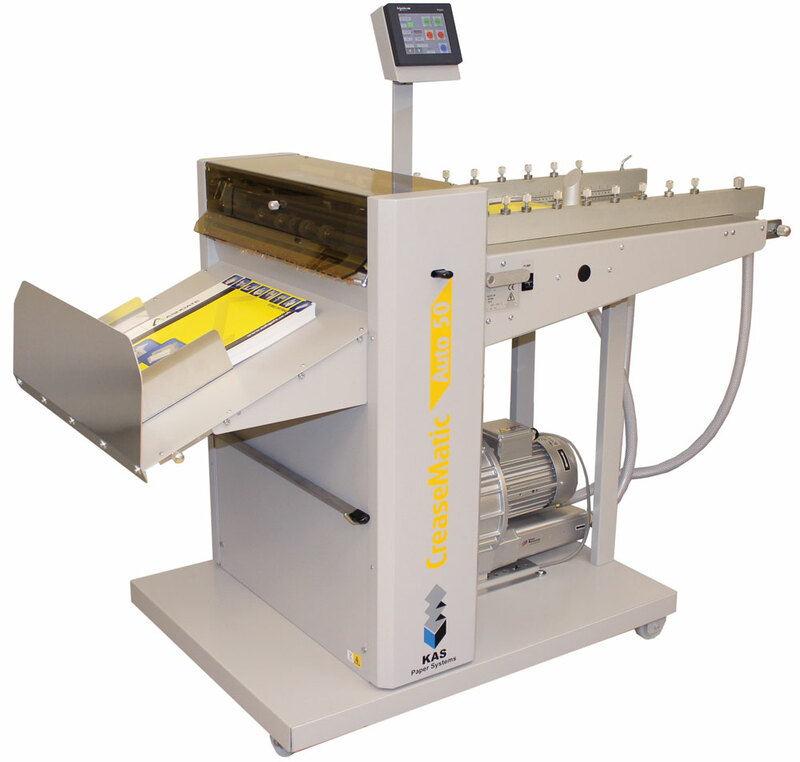 The Creasematic Auto50 programmable Card Creaser creates quality creasing and perforating on all types of digitally printed work. The rise and fall platen creasing action enables positive accurate creasing on stock sizes from CD to 500mm x 700mm at over 8000 sheets per hour. 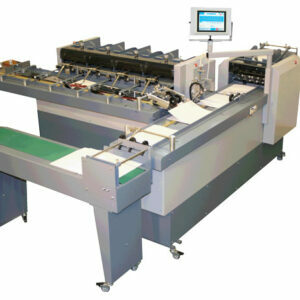 A 99 program memory with a quick and easy setup of up to 35 creases per sheet is standard. 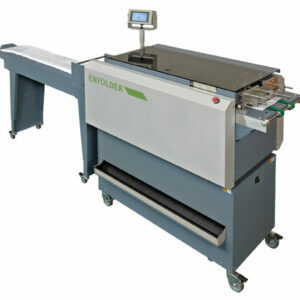 Suction fed SRA2 high speed card creaser is designed for higher volume digital and litho printers. A Matrix Bar is supplied to which channel matrix self adhesive matrix can be attached. These channel matrix are available in many sizes, are inexpensive to use and very popular for creasing light weight stocks 80-150gsm. 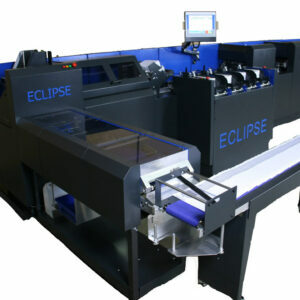 This system provides a single point which is especially useful if the job is to be stitched.